There is a technique when cutting and sewing the Toastie Mitten thumb pieces that will give you that PERFECT feeling thumb - not an oven mitt thumb!!! Take a look at the pictures. 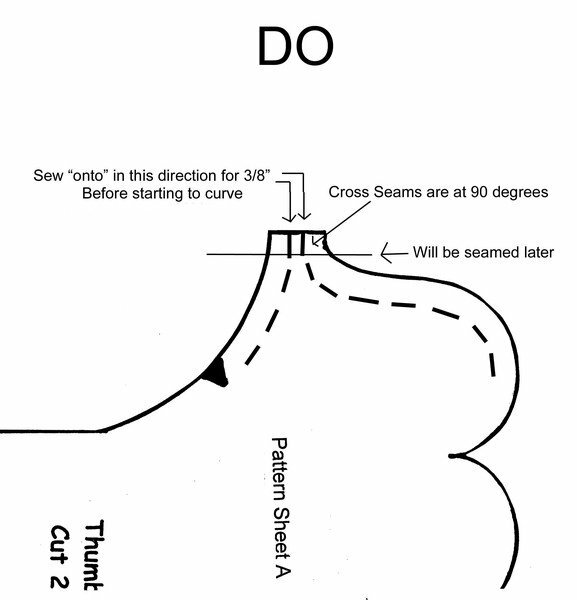 Be deliberate in making the curve a nice curve when cutting and when sewing. This is more easily accomplished by sewing ONTO the thumb rather than sewing OFF. 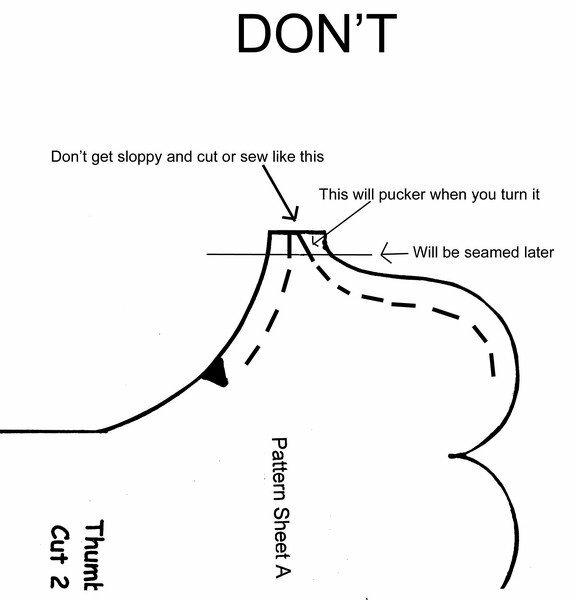 Do this on both the sherpa lining and the outside of the mitten. Don't forget to clip your seams before you turn your mittens.